Abe’s Place is renowned for fresh, homemade ingredients, friendly service, over-sized entrees, daily specials, excellent beverage choices, nightly karaoke, and an atmosphere where everyone feels at home. Social Spot WiFi was installed in Abe’s Place Tap and Grill on July 2nd, 2014. Marketing materials were installed by the customer on July 31. 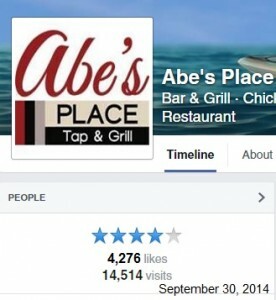 Abe’s Place has actively maintained their Facebook page, both prior to and during this 3 month analysis period. Abe’s Place has been able to collect the contact information of many of his customers. 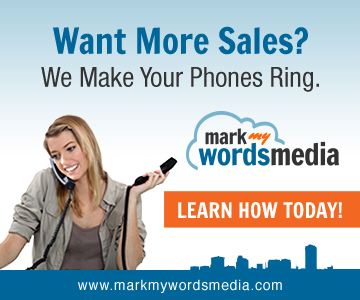 He can now segment and market specific promotions to them, based on their user demographics. This has allowed him to increase event attendance. Overall, Abe’s Place has seen a large increase in not only their social media engagement, but also a steady increase in the number of users over time. Both his new and repeat visitor count is growing, so not only is Abe’s Place getting new customers, but they are returning. 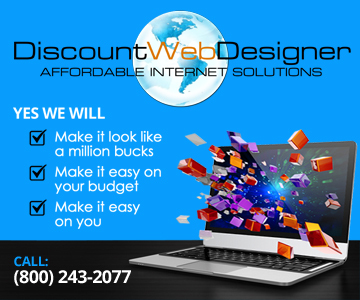 They are growing their customer database, which means with each new event or promotion they will be able to directly market to a larger number of proven buyers.